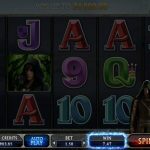 Following the successful Avalon slot, Avalon II is packed with more luscious graphics and more exciting gameplay that will keep you spinning for more. 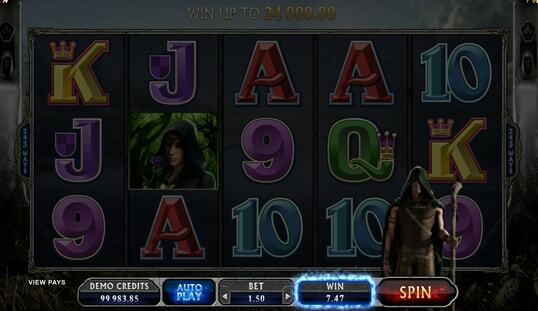 Microgaming has come up with yet another spectacular Bitcoin slot titled Avalon II, which is a sequel to the famous Avalon slot, one of the game provider’s finest works to date. Avalon II follows the story of the great King Arthur and the Knights of the Round Table. 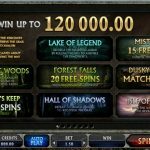 This time, a more exciting and thrilling storyline takes place since you are to help the knights succeed on their ‘Quest for the Holy Grail.’ With tried and tested quality, the more superior and sophisticated Avalon II slot now on board Bitcoin casinos will keep the rewards flowing with every spin of its reels. Avalon II is designed to have a more realistic interface that has 3D characters. Complementing the visual prowess of the game are the amazing sound effects. In fact, this game is one of the few to have a superb soundtrack that will keep you entertained for hours. After all, the combination of Arthur’s royalty and the majestic sounds of the orchestra is enough to keep you on the edge of your seats. 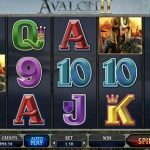 Although this game may be too sophisticated for a normal gambler to play, Avalon II Bitcoin slot is not that difficult to navigate. 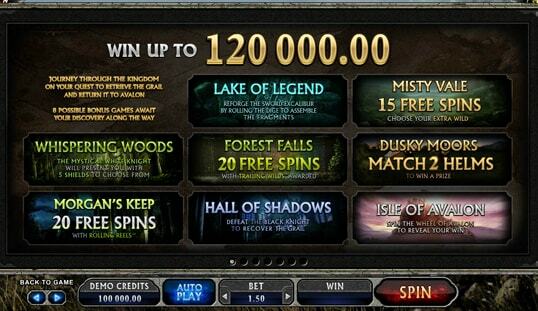 Its interface is based on the orthodox format of any online slot game. It is a five-reel, 243-payline slot that is also equipped with an autospin feature. 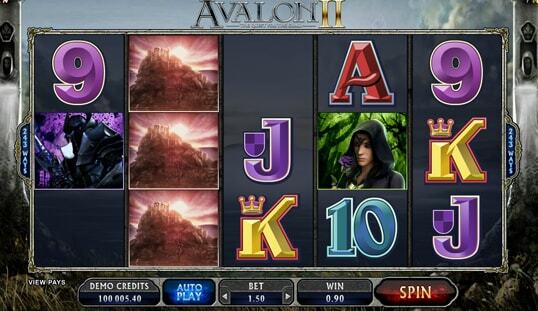 Other than having the basic elements of an online slot, Avalon II also has special symbols that unlock exclusive in-game specials. As such you can expect the traditional number and letter symbols alongside the special Avalon symbols. Since this game has special mini-games included, it is but normal for this slot to have scatter and wild symbols. If lady luck is with you, catching these symbols yield exciting and lucrative chances of bringing home the 120,000 jackpot. You are also bound to unlock two exclusives: the Merlin Feature and the Expanding Wild Feature. Moreover, as you go along with the game, you will be unlocking the reverend Grail Bonus that yields another set of 8 bonus games, including Lake of Legend Bonus, The Misty Value Bonus, and The Whispering Woods. The other bonus games on board are the following: Forest Falls Bonus, Trailing Wild Bonus, The Dusky Moores Bonus, Morgan’s Keep Bonus, Hall of Shadows Bonus, and Avalon Bonus. 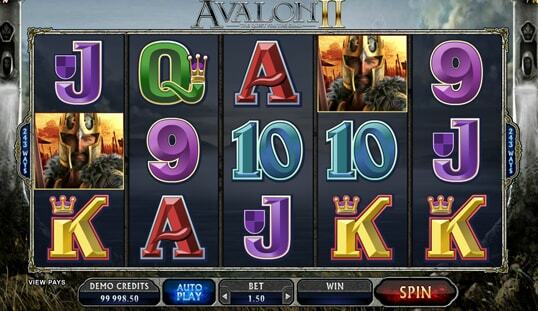 Avalon II slot is a revolutionary development for both Microgaming. This game never fails to stand out among avid Bitcoin slot aficionados, considering the Bitcoin casino market is filled with high-caliber Bitcoin slots. 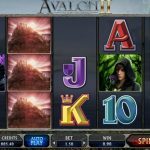 If you are interested in checking this game out, Avalon II is available in Bitcoin casinos like LimoPlay, 7BitCasino, Princess Star, and BitStarz.